Nefarious hoarder of loveable tat and professional drinker of Java, Riven is usually to be found near a big pile of books talking nonsense. You can have a looksee around her brain at Tumblr, and when she’s been good they let her put some words into Geeked magazine. 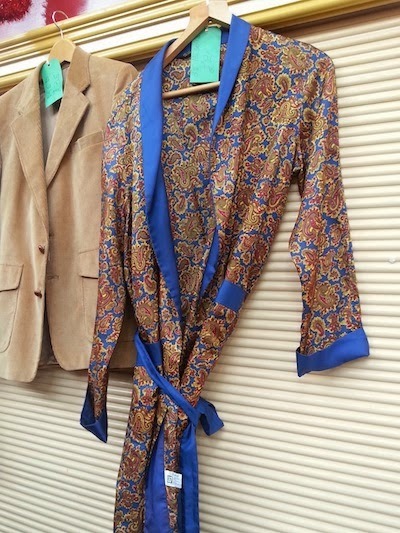 Follow her on Twitter @thewordiebirdie.
. . . this fantastic smoking jacket? I’m wearing a smoking jacket right now, I can highly recommend them for tarting about the place in. 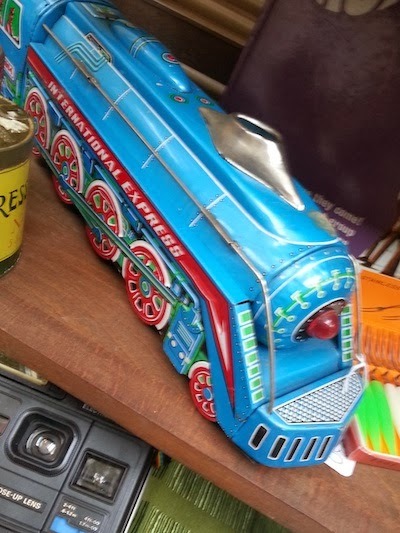 This being the Christmas Fair, I had my eye out for some prospective presents, and I would love to find this little train waiting for me under the tree, it’s absolutely perfect. 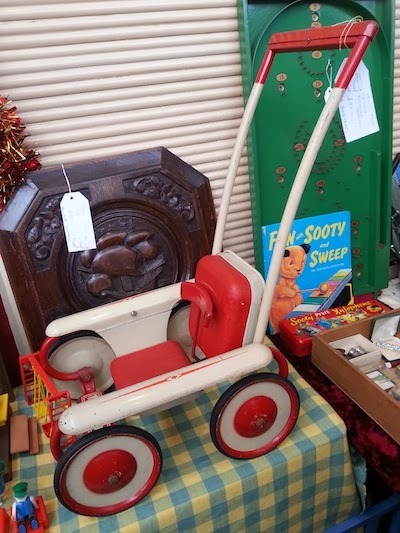 Or, another possible Christmas present would have been this fantastic toy pram from All Our Yesterdays - they just don’t make children’s toys as good-looking as this anymore, it’s a real shame. 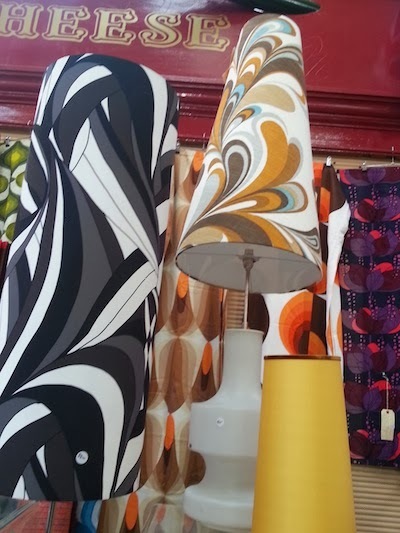 There’s something really fun about Snygg’s lamps - they make me want to watch Danger! Diabolik and buy a sheepskin rug. 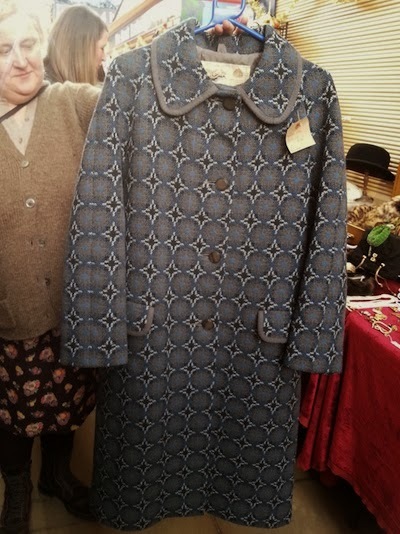 This one is so stylish and kitsch, I just love it.
. . . and this amazing coat that I regret not buying now, it’s such a great print. 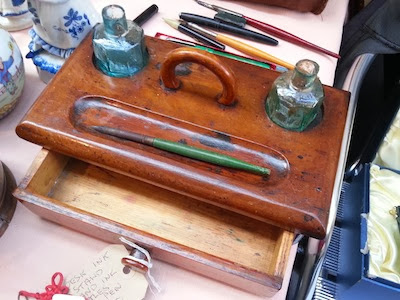 Keep it between you and me, but I have this soft spot for old writing equipment, and this little ink stand really caught my eye. Can’t you just imagine lounging about at home, writing your memoirs on this, and wearing . . . 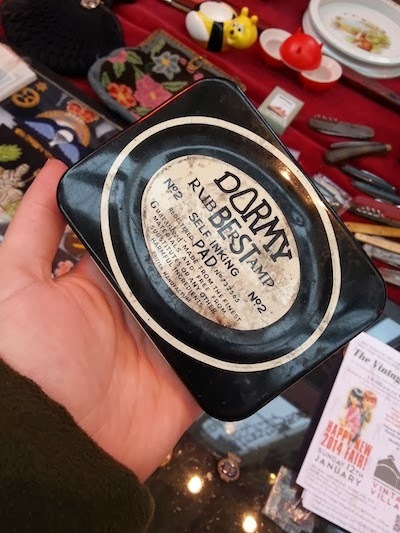 I love the lettering on old tins, so this ink pad was a big hit with me. 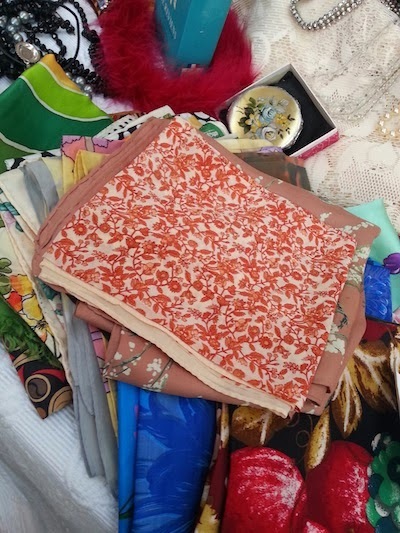 One of these scarves from Heirloom Rose would have made a pretty refined gift. 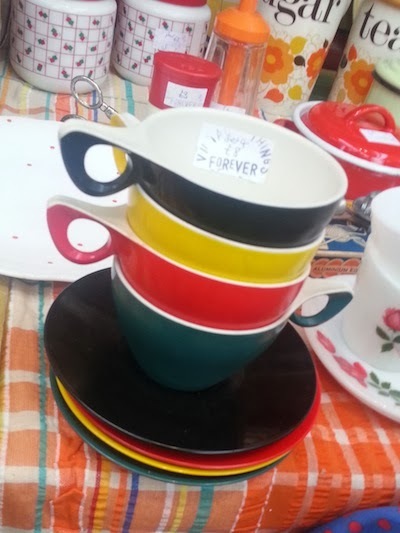 I could have spent a fortune at Vintage Things Forever, she had some amazing retro-style teacups that you can imagine finding modern equivalents of for triple the price. 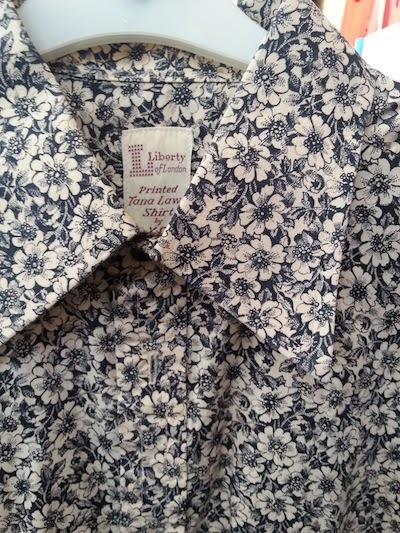 It’s hard sometimes to find truly vintage clothes, but The Vintage Village had an amazing range - a beautiful Liberty Print shirt . . . 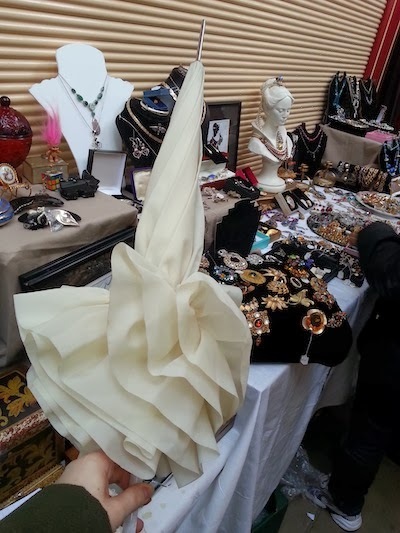 I think my favourite find was this parasol though; it’s delicate and feminine in a way you just don’t see anymore. Shame we so rarely have enough sunshine to have to hide from under one of these, it was gorgeous. We took some pies home from Lord of the Pies, which got the fella’s stamp of approval, and I bought a hand whisk from Vintage Things Forever that will be helping me make cakes and eggnog. A lovely way to spend a Sunday afternoon, hope to see you all next month! Editor: You've certainly found something delightful for everyone this month, with some excellent Christmas gift ideas. Many thanks for taking us on such an enjoyable tour of your highlights of the fair, Riven!